No words can describe how happy we were to receive an official invitation to a listening of the first three Rammstein-songs from the upcoming album. Three uncompromising songs and three attacks upon “common taste and morality”. An album isn’t an album until the last line has been sung and the final note has sounded. However, it’s no big secret to tell you about our great enthusiasm. Just like many others we can’t wait. All departments of the good ship “Rammstein” are running on full steam! There are already more than 150.000 ticket-requests for the tour that will start at the end of this year. Stockholm let us nibble and we still have the sweet taste of the ripe fruits in our mouths. They recorded in the USA for about eight weeks in November, but the mixing and final touches of the album are being done in Stockholm. Their producer, Jacob Helner is Swedish and lives in Stolkholm, so while they’ve always recorded their albums in different parts of the world, as best as I can recall, since Jacob has been their producer, they usually do the mixing in Sweden were he has his facilities. owyeah!! Can't wait for the new album! I can’t wait for the new album. I wish they will come onto Hungary again! Wow this intervieuw definitely gave me a better insight in schneider and the band. Really want to see the again probably would go to Germany to see them I think its a must to see them a Germany. 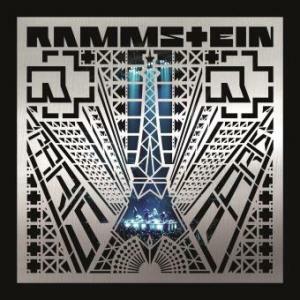 Seen them in Belgium @ Rock Werchter it was my first big festival btw went their especially for Rammstein. The only thing I keep wondering is if the band themselves are that commercially minded or that it's just their management. Anyways hope they will be back soon really want to see them live again. Their concerts are amazing. Can't w8 for the new album and tour!!! !